Stainless steel and glass are the most commonly used materials in GC Inlet and sample handling systems. 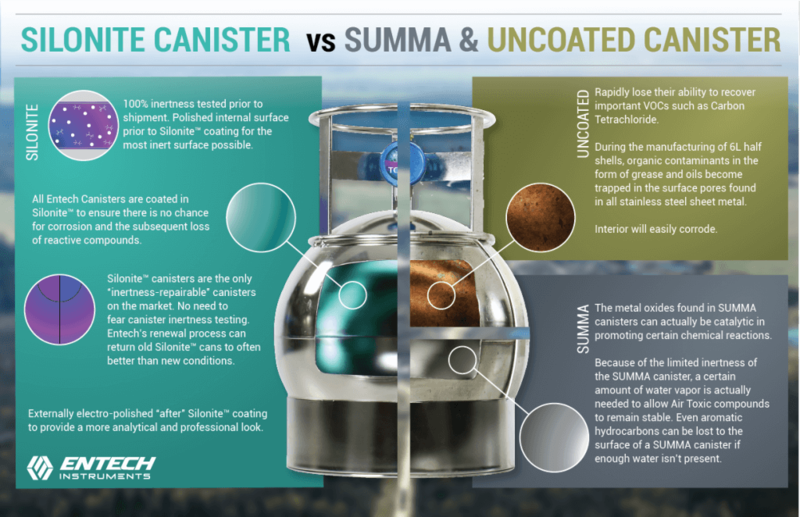 However, surface imperfections and inherent chemical dependent adsorption exist with even the highest quality 316L stainless steel, causing substantial losses of vapor phase chemicals. At elevated temperatures, surface metal oxides can be catalytic, especially exposed iron on the surface or in pores below the surface. The fact that 316SS is about 67%-70% iron makes catalytic losses a certainty unless the surface is treated with Silonite™. Glass, although more inert than stainless steel, also contains additives which have a negative effect on surface inertness. These include Iron, Sodium and Boron. Placing a thin layer of Silonite™ over these surfaces eliminates exposure of the sample to these reactive additives and impurities. Silonite™ is a ceramic coating treatment developed by Entech to provide an extremely inert surface for chromatography applications. Silonite™ creates an ultra-smooth surface which reduces the potential for chemical adsorption. The high density Silonite™ coating nearly eliminates absorption effects prevalent in plastics such as: Teflon®, Tedlar® or Siloxane treated surfaces. We have dozens of examples of ultra inert Silonite™ coated projects, click below to see a few! 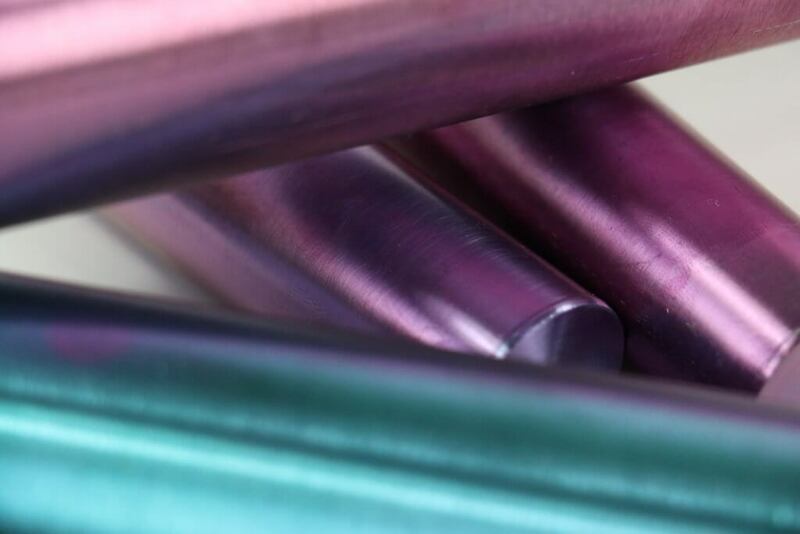 What makes Silonite™ coated parts so colorful? Placing a smooth, transparent coating over stainless steel surfaces results in a phenomenon known as “thin film interference” where light reflecting off the Silonite™ ceramic coating becomes out of phase with light reflecting off the stainless steel surface below. 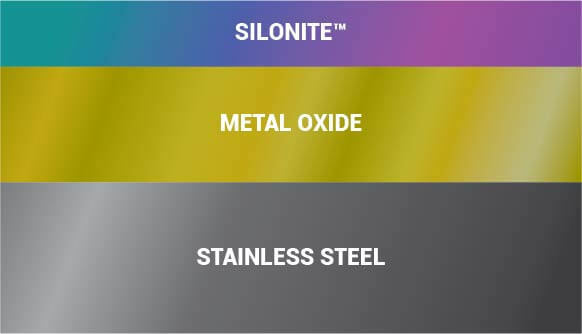 The cancellation of part of the light spectrum and enhancement of other wavelengths turns normal white light into one of several different shades exhibited by Silonite™ coated parts. The actual color formed is an indication of the thickness of the coating. As the thickness increases from 150–1000 angstroms, the apparent color of Silonite™ coating goes through a color progression. Silonite™ Coated Loops are pre-bent before coating. This creates the most inert internal surface possible. 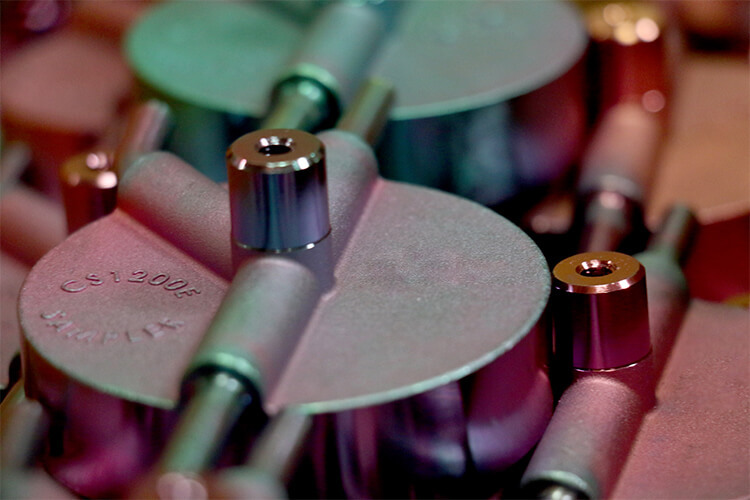 Loops are batch tested using dry, polar standards at room temperature to verify complete inertness. 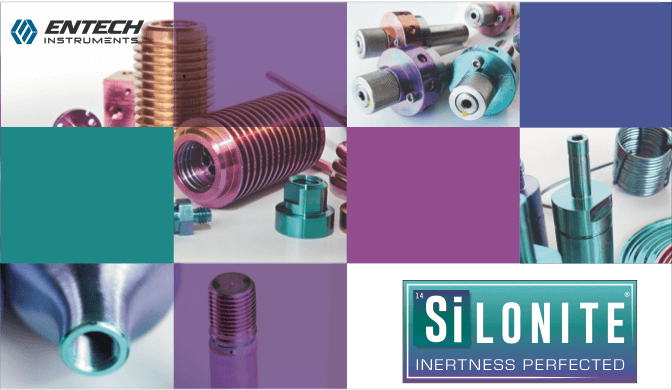 Silonite™ is more inert than Metal or Glass and reduces Porosity of Metal Surfaces. Silonite™ is applied as an Ultra Thin Coating which allows complete Surface Bonding. Get in contact with our application experts.